July 4, 2015 / Rachel C.
Good morning everybody! 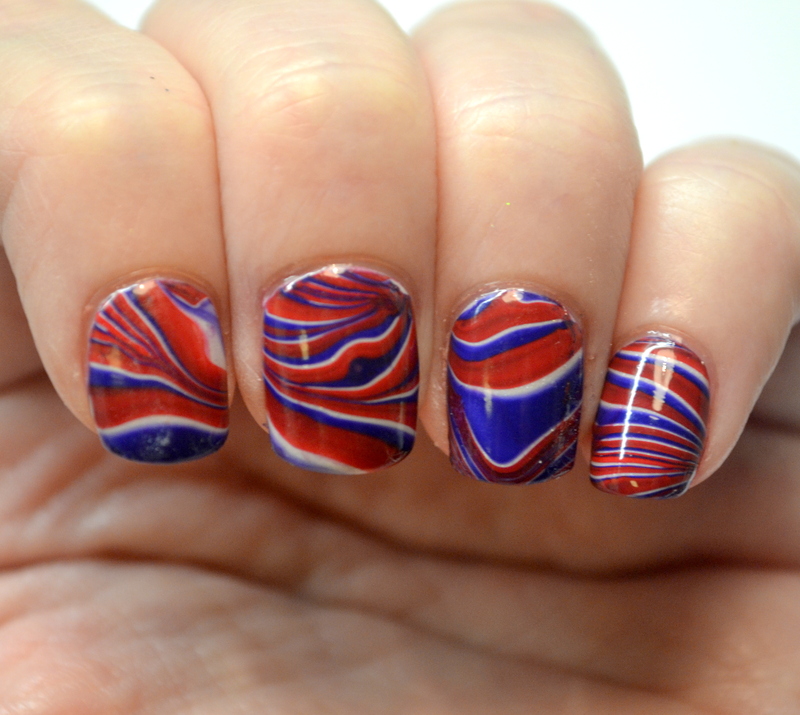 It’s just after 7 am over here in the UK, but I’ve been up for a couple of hours and so thought I’d go ahead and share my mani for the 4th of July. 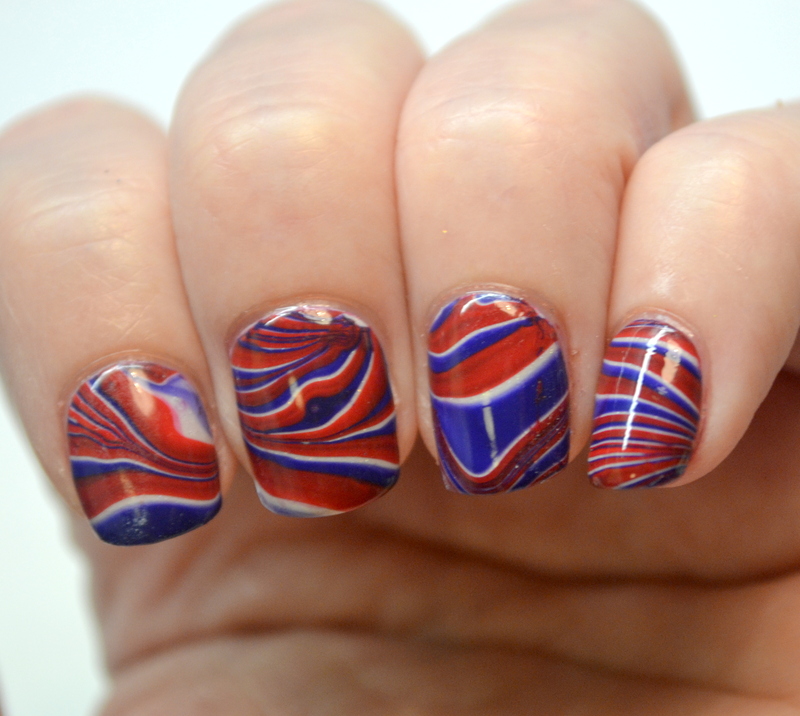 I tried my hand at watermarbling again, with mixed results. 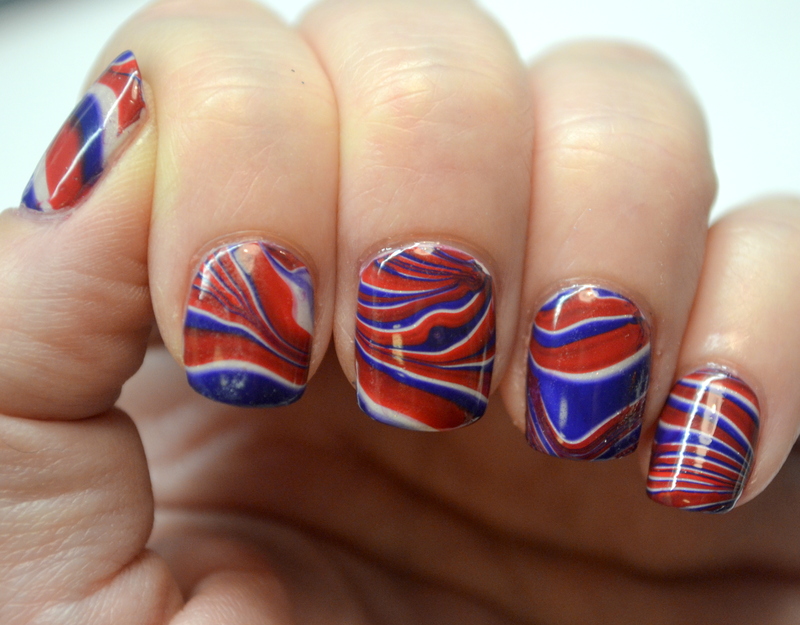 My polishes are OPI Coca Cola Red and OPI…Eurso Euro and LynBDesigns Defender of the Downtrodden. 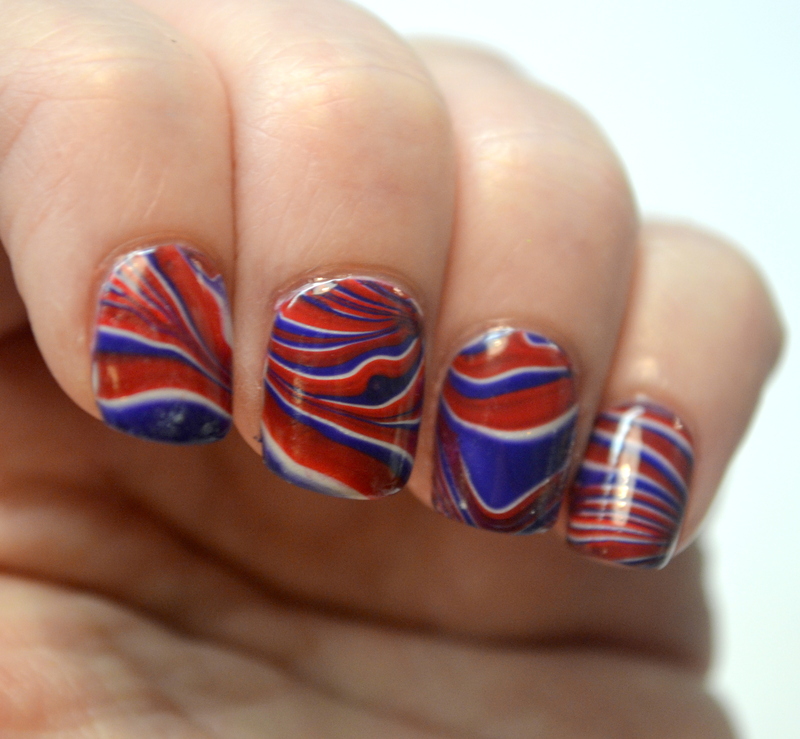 But despite the little issues I have with it, I’m actually just thrilled that I actually managed to do a watermarble. It’s always such an ordeal that I just give up. This time I got all ten fingers done without quitting! And the colors look great together, of course!